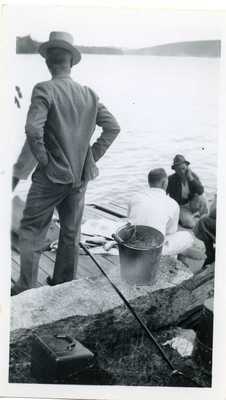 "Men on Dock Preparing Fish "
A black and white photograph of a few men on a dock preparing to fish, or preparing to finish fishing. From the Amadamast Fishing Club records. No caption included or anything written on the back of the photo.